First time home buyers or those looking for a sweet investment property----take a look at this! One of my favorite parts of the day is the early morning car ride on the days I take my son to school. Typically, this is the first day of school and the two days during the week he has FCA. I love our early morning conversations, and sometimes getting to watch the sunrise as we drive across the bridge. This time last year, we had just relocated to Charleston from Georgia, and had only been here for a couple months. After meeting several boys during that time and playing on a new travel ball team, he was starting school already having established some new friendships. He loved Charleston, and his new buddies. But as I took him to school for his first day, he looked out over the marsh and simply stated, "If Garrett (his BFF) could move here, my life would be complete." This weekend, our family had the opportunity to go back to Georgia to visit with some of our nearest and dearest friends. The boys got to hang out together and go to a couple events with old school and baseball friends. 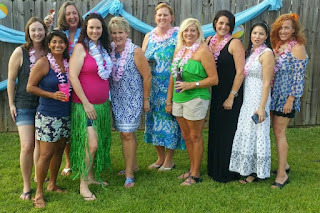 My husband and I got to spend time with our old circle of friends that we have missed dearly over the last year. We got caught up with lots of laughter and hugs. 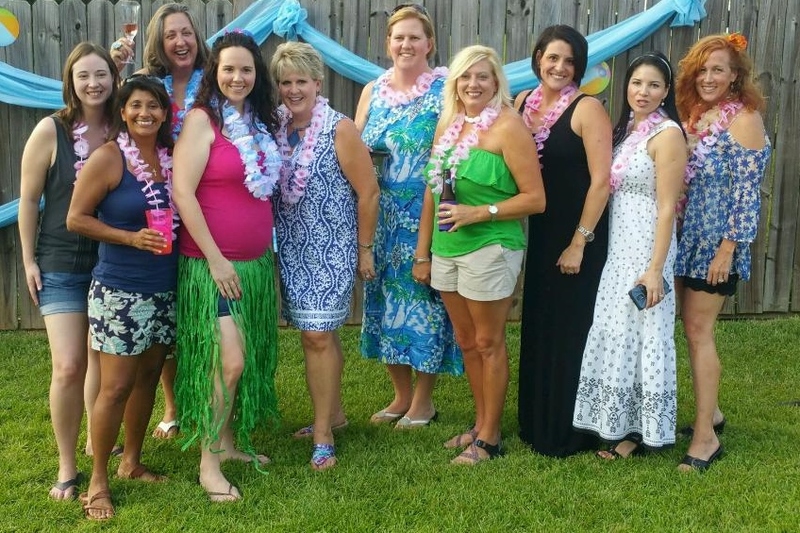 We got to celebrate a new life (that is due in December) and enjoy the gift of friendship. The "going back" just made it that much more special, the hugs a little tighter and long-lasting, and the laughter that had us in tears, that much more spectacular! The thing is: "Going back" is a blessing. Relocating to Charleston has been amazing. We love the new friendships we have established, the community, our jobs, our new baseball family, the beautiful sunsets over the water, etc. We didn't MOVE our circle----we just made it BIGGER! When our friends come to visit, we get to share all that is new to us: Our new friends, the beaches, sunsets....all the Charleston offerings that are available to us every day! So as I dropped my son off for school this morning for his last "first day of school" as a middle school student, I reminded him of what he had said the year before, and how much bigger our circle is this year. I thought about the old belief, "You can never go back," and how much I disagree. You can ALWAYS go back! Back to school, back to work, back home, back to visit, back to the beginning.....And by going back, there is an added component of excitement that goes beyond the day-to-day routine. Watching William going back to school, walking inside the building with his new Charleston friends, I have to smile and be thankful, not only for our day-to-day experiences, but also for the opportunities we have to "go back". 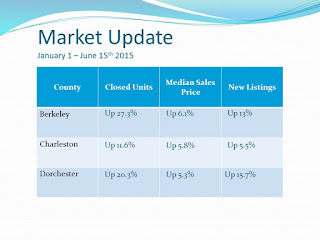 Charleston, SC Real Estate Market Temps: Hot, Hot, Hot!!! Temperatures aren't the only thing on the rise in Charleston, SC! Our market is HOT, HOT, HOT!!!! Want more details? Give me a call! (478-973-2684), or email me at janie.pugh@carolinaone.com. Life in the #1 ranked city in the US (Conde Nast), Charleston, SC is grand! Those of us who have the privilege of living here know what a good investment real estate is in this area. But if you aren't a local, have you ever considered owning an investment property? How about looking toward expanding and diversifying to another area? How about the South Carolina coast! As a resident of Charleston, I see that real estate in this market is a tremendous investment opportunity. If you are looking to diversify your investment portfolio, consider this: The real estate market in Charleston, SC is a healthy, thriving market that is solid and exciting! Why invest in real estate, and more specifically, why in Charleston, SC? Simply put, real estate is easily understood, housing is a basic human necessity, it can generate income and it is a powerful way to build wealth. As the Charleston-area continues to grow economically, in addition to the medical and tourism industry, we can thank currently expanding companies such as Boeing, Volvo, the colleges and universities (College of Charleston, The Citadel, the Medical University of South Carolina, Trident Technical College, the Art Institute of Charleston, Southern Wesleyan University, etc.) in the area for the rising need for housing. If you have ever considered a second home or an investment property for rental income, now is the time! additional 2,000 jobs added to those figures in the next ten years. Predictions are estimating over 250,000 people will be moving to the area in the next 10 years. These numbers obviously indicate a high demand for housing. Those moving and/or visiting the area may be looking for permanent housing to purchase, temporary (long or short-term, furnished or unfurnished) housing to rent, temporary student housing, military housing (Charleston Air Force Base, Coast Guard and Naval Weapons Station), vacation rentals or second homes. The need for readily available rental properties, both in single-family homes as well as multi-family units such as condos, townhouses and apartments, is on the rise. From an investor’s point-of- view, we know this: High Demand + Low Inventory = Higher Price Points. Not all properties make sound investments and/or bring quick cash flow, so it is important to have the right person working for you to find the most ideal properties to help you to fully diversify and build wealth through real estate. In addition to local investors, I have represented out-of-state clients, many purchasing properties “sight-unseen”, with complete satisfaction. In helping find ideal investment properties, I look for those that are not only a good value, but those with favorable location, size and amenities. I work to keep baselines low and return on investment high. Working together, my clients have the benefit of my knowledge, experience and expertise in locating, evaluating, coordinating and negotiating in the buying, selling and/or leasing of the properties. If you have interest in diversifying your wealth portfolio by investing in a thriving real estate market, let’s talk! 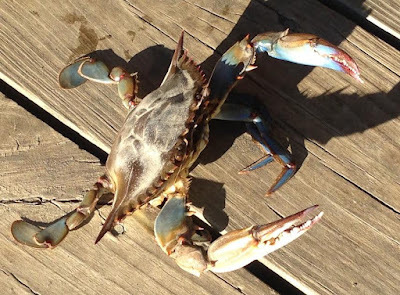 Life in the Lowcountry----so much to see and experience! Call me at 478-973-2684 or email me at: Janie.pugh@carolinaone.com , and let's get to work! Looking for a 4-bedroom home in Berkeley County? My listing at 148 Haleswood Circle in Goose Creek, SC will be open July 11 and 12, so stop by and take a look! At almost 3,000 square feet, this cul-de-sac home sits on .78 acres and is convenient to everything---and will be especially convenient for those that will be working at the new Volvo plant next year in Berkeley County! Call me for more information at 843-410-9906, or email me at janie.pugh@carolinaone.com.... New price of $350,000. #1 City in the US.....Charleston, SC! Voted the number #1 city in the US, Charleston, SC is a plethora of beautiful homes, amazing restaurants, unique shoppes and boutiques, historical sights, beaches, college campuses, museums, art...oh my goodness! The list goes on and on! These is literally something for EVERYONE in this awesome coastal community! Although impossible to cover all it's offerings in a short video, here are of few of my favorites that I like to recommend and share with my clients! Give me a call if you want more information about anything you see! Stop by Sunday, March 8 between 2-5 pm to take a look at this wonderful new listing in Carolina Bay in the West Ashley area of Charleston, SC. It is a 4 bedroom, 3.5 bath home with two separate living areas, upgraded gourmet kitchen with Kitchen Aid appliances (including a gas stove and double-ovens), plantation shutters throughout, a detached 2-car garage, screened porch.....I could go on and on! Listed at $367,500 and move-in ready! Call me at 478-973-2684 for more information, if you need directions or would like to discuss your real estate goals! Visit my website at www.janiepughsellshomes.com for more real estate info!